“It’s hard to believe you were once inseparable from your fancy bag of camera equipment. Now you take more photos with your phone than your 5D Mark III. Sadly, its lens is far from L Series. Everyone has a smartphone or a camera phone, but not everyone has a great lens. 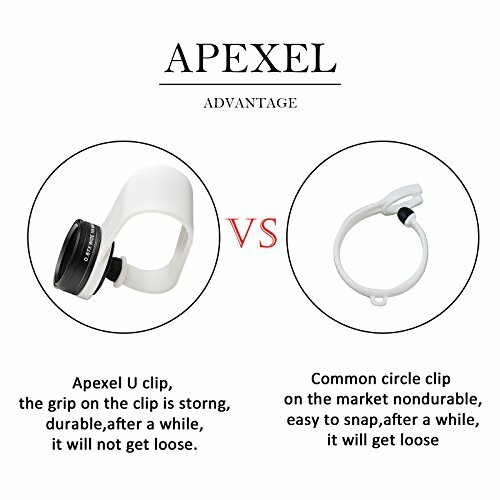 You can pick up your favorite lens on its own, or start a real lens collection from apexel lens or evileye lens. Have you ever stared at someone’s eyeball so close that you could see the rise in their cornea? You haven’t — mostly because it’d be weird and they’d probably think you were trying to fight them or something.So take a picture (it lasts longer, heh) with the macro lens. The intensity of detail will have you passing your phone around to show everyone how gross eyeballs are. or bugs, flowers, fingerprints … or maybe less gross things, like the individual ink blots that make up a pen streak. 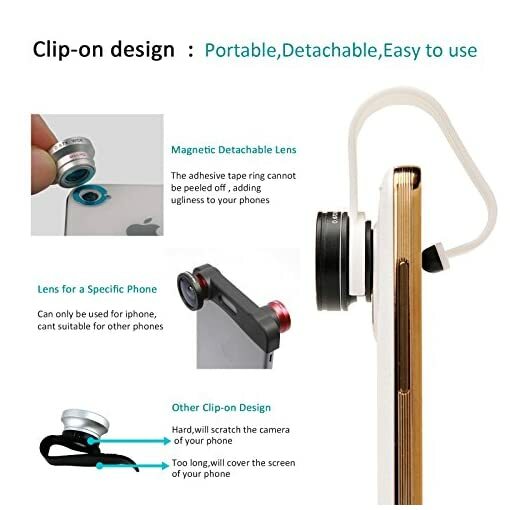 Universal lens clip: the lens included in this set can be used with most cell phones and mobile devices including iPhone, ipad Samsung and most mobile phone and tablets that phone lens diameter is smaller than 8.5mm . 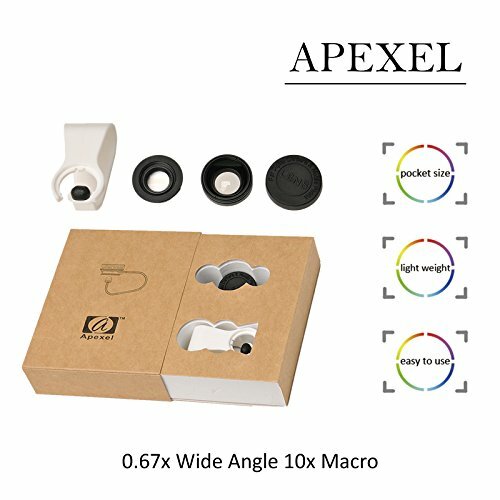 Exquisite packing box gives the lens fully protection. 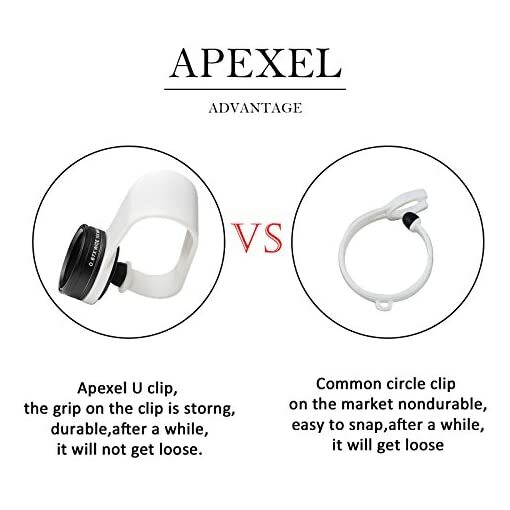 No dark circle by the wide lens, you can use apexel lens enable you easily enjoy photography and find the instant beauty of the world. HTC, LG, Sony most the phones and tablets with the camera eye is at the edge . (the distance between the center of lens and shorter edge is less 30mm). A: Yes! 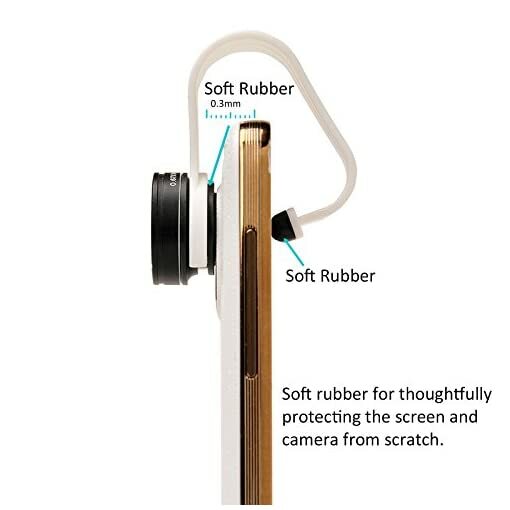 Our lenses are compatible with all iPhones, iPods, iPads, Androids … basically any device that has a lens on it. 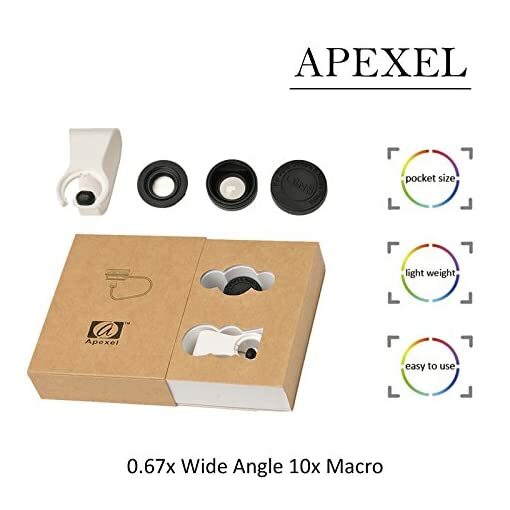 Q: I don’t like the photo with dark circle by lens , can Apexel phone lens solve this problem ? A: Yes! the photo NO Dark Circle taken with apexel lens absolutely. Q: What’s the magnification on these lenses? Q: Can I use this for the front facing camera or just the back? 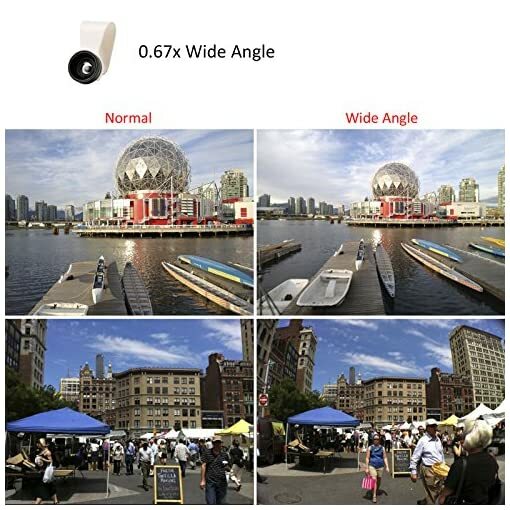 A: Yes, wide angle works fine with the front facing camera as a selfie lens. Q: Where is the macro lens? 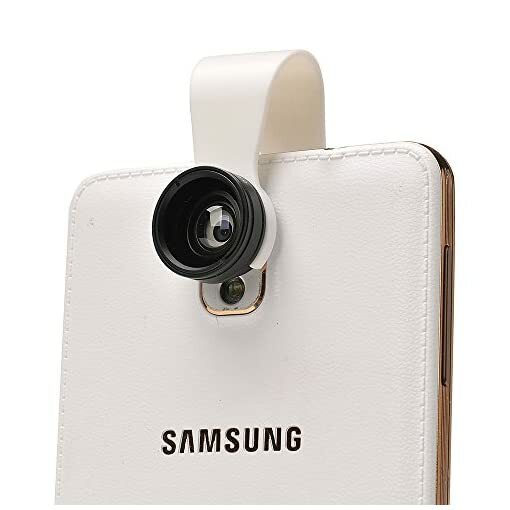 A: The macro and wide angle lens are screwed together,which used for wide angle function. Please unscrew the lens that print 0.67X WIDE 10X MACRO , the other small one is macro lens. Q: What’s the focusing range on the macro lens? 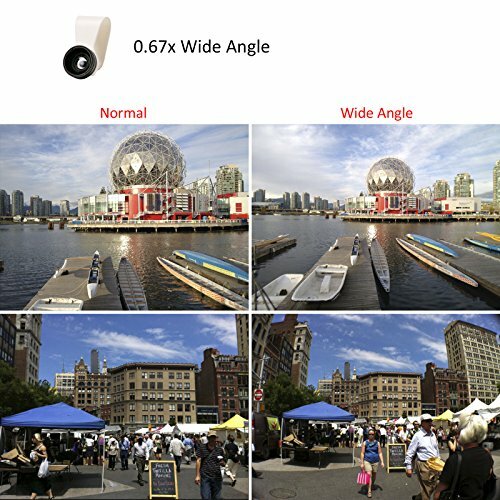 A: You’ll need to get super close to get the best detail, anywhere from 10-23mm from your subject (that’s less than an inch)! Q:Macro (close-up) lens is all blurry, is it broken? A: No, just more closer! Less than 1 inch from the subject and you’ll be fine. If everything is blurry with the macro lens, you need to move closer. !